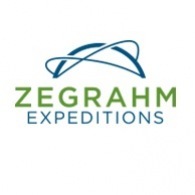 All Zegrahm Expeditions tours, river cruises, expedition cruises, and adventure trips. Find the best guided trips and expert planned vacation and holiday packages. Average rating of 5.0 for all Zegrahm Expeditions trips. Search for abundant wildlife on a Yala National Park expedition, which boasts Asia’s largest concentration of leopards, along with Asian elephants, spotted deer, and over 200 species of birds. A hallmark of any Sri Lanka tour, discover the UNESCO World Heritage Sites of Sigiriya, an ancient palace and fortress built atop a huge granite monolith; the monumental ruins in Polonnaruwa, Sri Lanka’s medieval capital; and the Temple of the Tooth in Kandy, a significant site of pilgrimage for Buddhists. Enjoy whale-watching cruises off the southern coast, one of the best places in the world to view blue whales. Explore Sinharaja, a vast tropical rain forest that is home to over half of Sri Lanka’s endemic species of flora and fauna. Stay in a variety of superb accommodations throughout your Sri Lanka adventure travels—from beach-side resorts and colonial-era mansions to world-class game lodges offering splendid vistas of the surrounding wilderness. Join us for a rare opportunity to visit Cuba, made possible through our partnership with sister company, International Expeditions*, who is authorized to conduct travel programs to Cuba under the people-to-people license category. Immerse yourself in the culture as you visit with friendly locals, savor traditional cuisine, and enjoy numerous musical performances, including a visit to the Buena Vista Social Club. Explore the Zapata Wetlands—this UNESCO Biosphere Reserve is home to 171 species of birds, 18 of which are endemic, including bee hummingbirds, the world’s smallest living bird. Stroll the atmospheric streets of the city to discover stunning colonial architecture and sun-splashed plazas, where classic American cars complete the scene of a by-gone era. Visit the World Heritage Sites of Trinidad, founded in the 16th century, and the nearby Valley of the Sugar Mills, the historic center of Cuba's sugar industry.